Here's a guide to the G-ray download. I hope it makes it through Australian Customs. Also i would like to thank all on this thread for motivating me to try Laser burning, some great works shown. There is quite a lot of learning / work involved to get a laser set-up just right with your machine but a great deal of satisfaction once it all comes together. Welcome. Please don't hesitate to let us know if we can help. I have been busy lately making Christmas gifts. 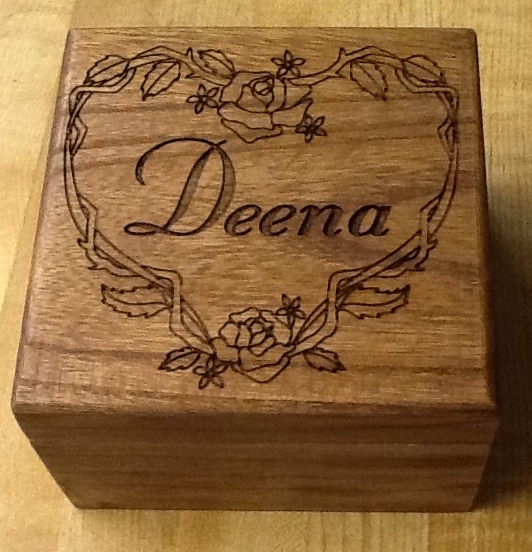 The keepsake boxes are purchased unfinished from the local craft store, stained and laser engraved. The wood is soft and the engraving is as deep as if it was spindle engraved. 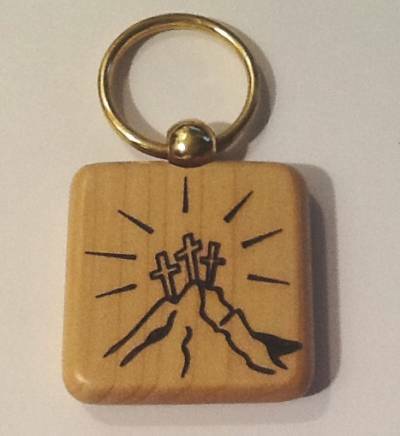 The keychains are maple blanks purchased over the web, and are only paste waxed after engraving. Excellent work John - first class my friend. May the holidays be good for all. 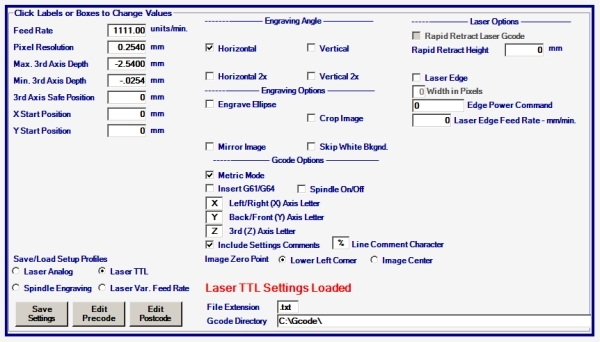 Is 3D laser diode engraving next??? Happy holidays everyone! I'm not sure what qualifies as 3D laser engraving. I was surprised to see the lettering on the box engrave so deeply and with really clean edges. The lettering is actually about .03 to .04 inches deep, I didn't measure it. The lens you found and told me about some time ago really is better than the G2 and the 3 element lenses I had been using. Still waiting on the laser, probably after Christmas. All the best and have a safe festive season. I finished this today. 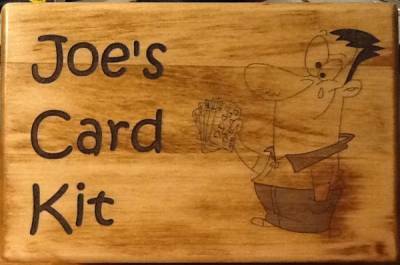 It is a box for a card playing friend. About 8 x x5.5 x 3 inches / 200 x 140 x 75 mm. Finish is not the greatest , but I am out of time to redo. Actually looks better with room lighting than in photo. John, well done! I like the thin lines, they are sharp enough. I can not reach the guy of the laser drivers , Yes again ! First badip2010 now the flexmod guy. Do someone knows a way to contact the seller ? 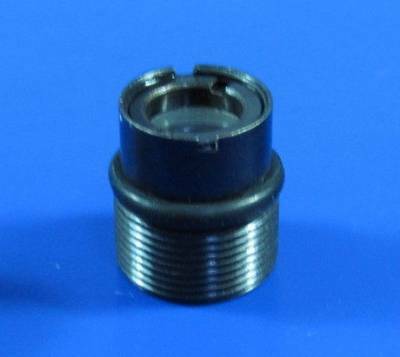 I'm real surprised you have not received your Flexmod P3 yet. Have you tried to contact drlava through the Photonlexicon forum or in your Google Wallet account? I had good luck purchasing an analog modulation driver off eBay from Russia and it showed up within two weeks here in the USA. You may be able to get one sooner, based on your location. I know this has to be very frustrating for you to try again with a third seller, considering all that you have invested already. Hello, thank you for this answer,Yes it is very frustrating for sur...i'll probably wait a little bit more.Yes i did contact the seller by the google wallet acount i wonder if my email is not blocked or so. Thank you for the link anyways. Can some one or picengraver answer a question for me? I have purchased PEP ver.4.2.4 . Will the parameters i type into edit box be in Inches or Metric? I just checked my downloaded install of version 4.2.4, and in Metric Mode all is showing here as mm, not inches. It is not impossible that I have missed something. Please send me a screen image of where you see this. 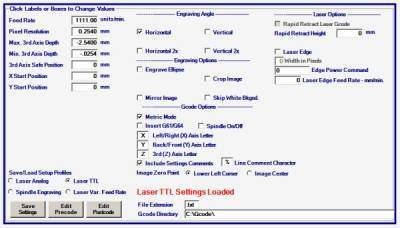 Regardless, if you select Metric, all setting will be used by PEP as mm, not inches, and a G21 will be at the beginning of the gcode file. I've not received any other reports otherwise, or seen this in my testing. Perhaps a reinstall of PEP might clear up this problem. "But i seem to be going from bad to worse"
Please feel free to contact me directly at any time if I can help.